We present an innovate line of Texcolors Self-Adhesive Coating. 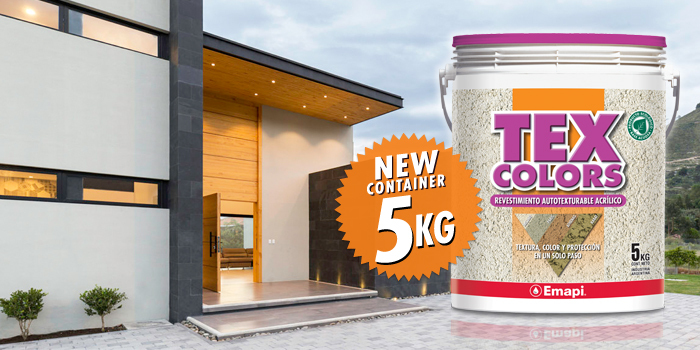 To its already known presentation of 25 Kg, we incorporated a new container of 5 Kg to the line of Texcolors products. Upcoming season 2019, we presents our new color palette. 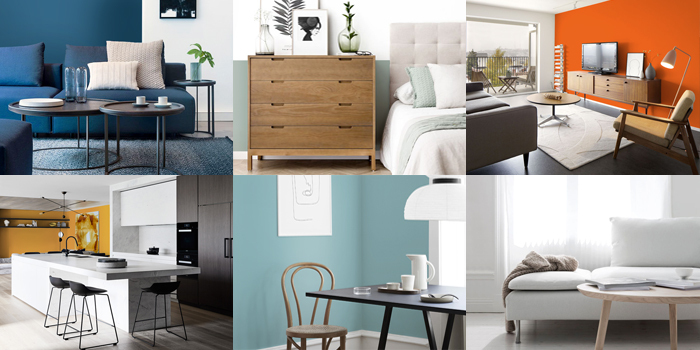 A range of tones wisely combined in a delicate balance, and that invite you to recognize spaces in their fullness . TRUST: Golden Delicious, Pinecone or Tweed convey the serenity that comes from trust in what we already know or feel. SOLIDITY: Silverado , Bay Berry and Spruce they speak to us about their own concept, based on the strength of those who know where they are going. PERMANENCE: in the colors Cavalier , Nordic Sea or Noa we will find the answer of the reason of that permanence, of the hand of the Confidence and the Solidity. We work on these pillars, developing products of innovation and premium quality. Therefore, we have decided that these three values ​​will be reflected in the trend color palette for next year. 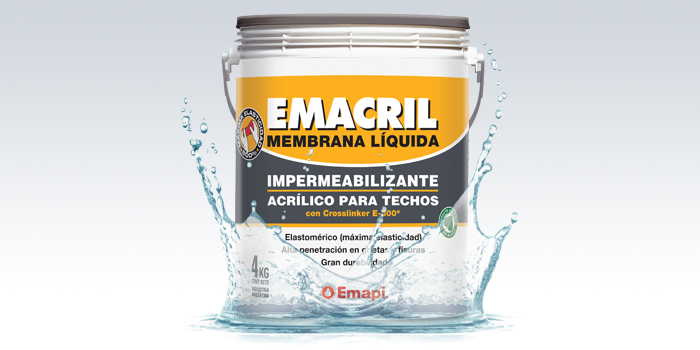 Emapi S.A., a company with a recognized history in the market of paints and waterproofing products, assuming a commitment with quality and service, presents a great novelty within its Texcolors Acrylic Textured Coating line. The Chocolate hue is added to its current palette of eight colors. 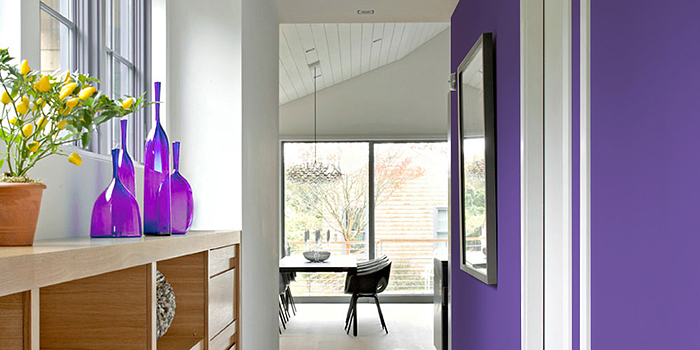 A new chromatic trend in the field of design and architecture. 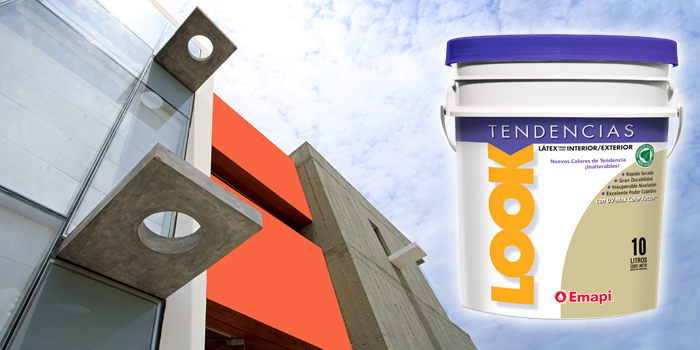 Look Tendencias adds new 10L packaging line. Look Tendencias is a dual use acrylic product (interior exterior). There are six colors available; Pink Illusion, Red Ceibo, Green Apple, Cranberry, Orange and Sunflower, full of life colors, designed to make your home beautiful. For exterior painting projects, a film is obtained cover against the attack of solar radiation and weather conditions.Interior applications offers an opportunity to experiment new combinations colors to give character and personality to new space. In the laboratory, R&D specialists develop new solution for Duratone Latex. 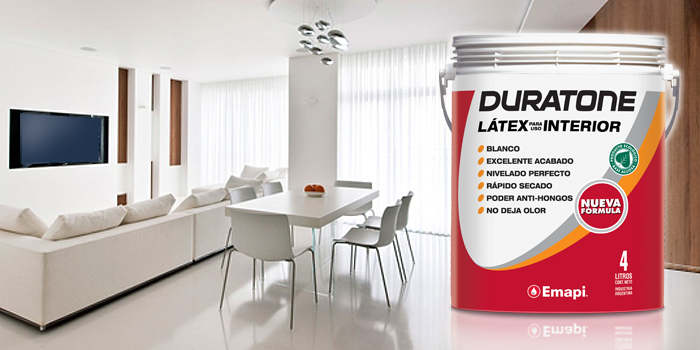 The performance of this product has been optimized, becoming Duratone in an Interior / Exterior Latex; maintaining its covering power and level of whiteness, and providing a product of easy application and excellent finish. 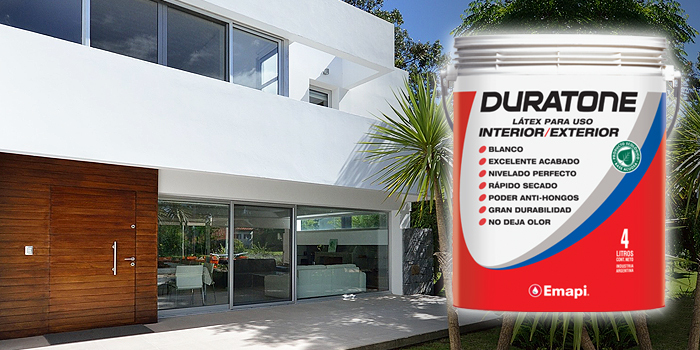 To the well-known and recognized properties of Latex Interior / Exterior Emapi, we added polyurethane to its formula. A component that gives it excellent performance as a protective barrier and a high resistance to adverse climatic factors and UV rays; thus giving a long useful life, with an outstanding covering power, excellent matte finish, which enables easy application and optimum leveling. 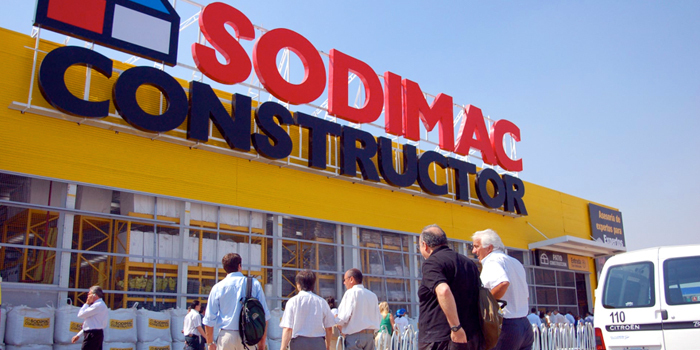 On Tuesday 2 August, we organize a day of intensive training with our client Sodimac and its Circle of Specialists (CES), in the San Justo store. TexColors, Emapi's self-textured acrylic coating which, in its presentation of four textures and eight colors, replaces fine plaster and paint in one step. After a theoretical introduction by Gabriel Argüello of the Technical Department of Emapi, an application of the product was made in its different variants, inviting the attendees to do the same and to verify the kindness of TexColors. Invited by our client Sodimac and its Círculo de Especialistas, on Saturday, June 25 at the facilities of Tecnopolis. A training fair was organized with the participation of leading companies of construction sector. 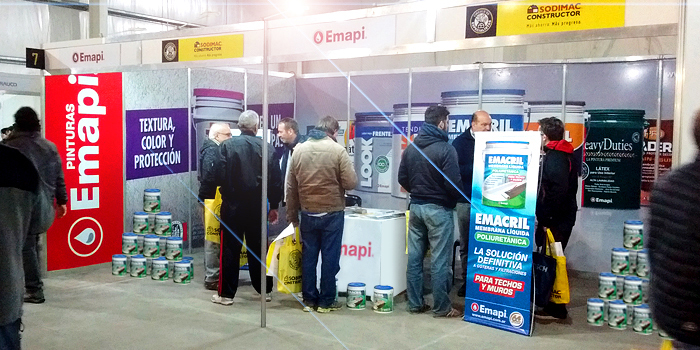 As on previous occasions, Emapi took part in this day, participating in the round of exhibitors, where we received numerous participants and a training talk.Throughout the day, the specialists who approached the Emapi booth received the advice of our technicians and sellers on the extensive offer of products that make up the portfolios of the Paint Division and the Waterproofing Division. Since last Sunday March 13, we are present in the program of Mirtha Legrand that is broadcast in the time of 13:15 to 16:00 hs, by the signal of Canal Trece. Every sunday new spot on Look Tendencias, the latex color for interior / exterior use. 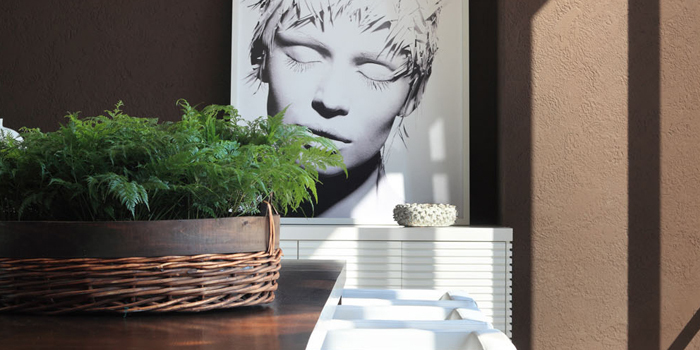 Look Tendencias offers a palette of ready-to-use, current, unique and vibrant colors, ideal for renewing and giving new life to all environments in the home. Pink Illusion, Ceibo Red, Apple Green, Cranberry, Orange and Sunflower are the original and characteristic six colors of this product. We invite you to share Mirtha's table, enjoy the program and check why Look Tendencias is the latex color for interior / exterior use that has achieved great acceptance in the main painters of Argentina. Now is available for download catalogs of all the products that make up the portfolios of the Paint Division and the Waterproofing Division. 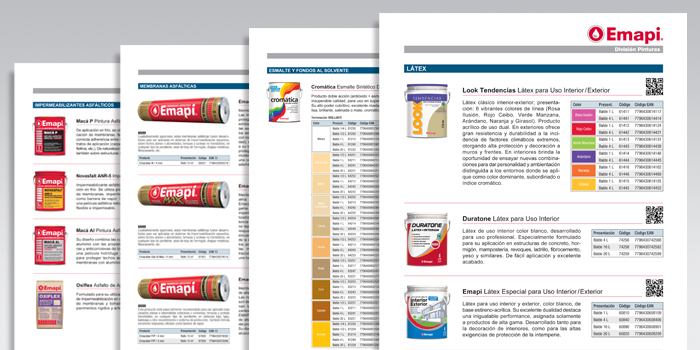 In the catalog you will be able to find in detail information about technical, commercial and use aspects of each of the products. 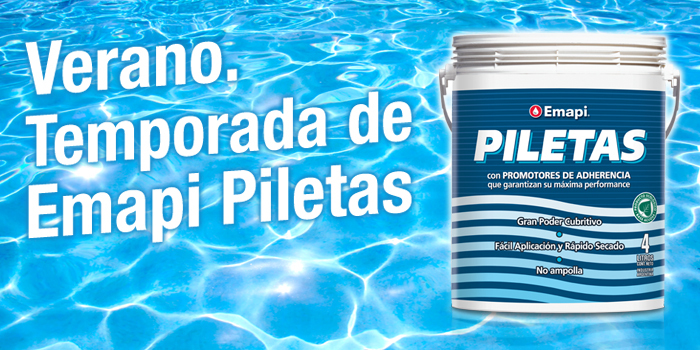 A product specially formulated from acrylic resins of great penetration and adhesion, to grant the best results of protection and image in swimming pools. Its easy application and good leveling, make possible a waterproof protective film of great flexibility and excellent adhesion to the substrate. It exhibits great resistance to UV radiation, the impact of other adverse weather conditions and the frequent chemical attack produced by bactericides and chloro-based fungicide-algicides that are incorporated into water to keep it free of microorganisms. Its exclusive formulation grants a special finish that prevents the fixing of algae, fungus and dirt. On Thursday, October 1st, in the framework of the 3rd Multidisciplinary Day of Construction, organized by the Universidad Tecnologica Nacional (Rafaela Regional Faculty), and at the request of our client Pablo Culzoni, Emapi participated in the presentation round along with leading professionals in the construction industry. 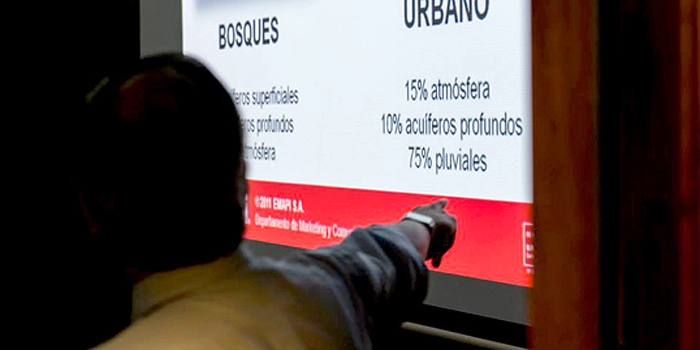 In the auditorium of the Instituto Superior del Profesorado Nº 2 Joaquín V. González of the city of Rafaela (Province of Santa Fe), Gabriel Argüello of our Technical Department developed speech of "Green Roofs: Multilayers Waterproofing System". With over two hundred participants, we talk about the benefits of a green cover, its composition and construction scheme were detailed, as well as the Emapi Professional System, developed for plant covers. 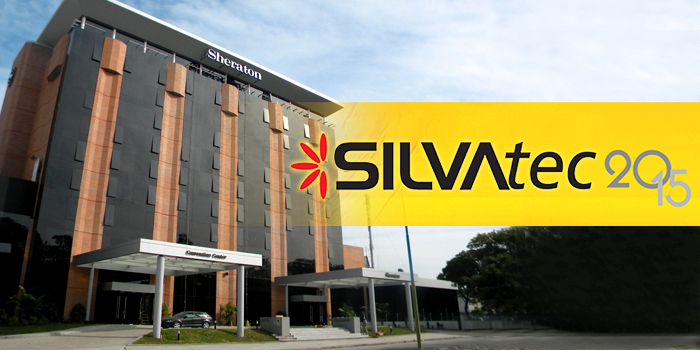 In the city of San Miguel de Tucumán, on September 25th and 26th, the 1st EXHIBITION OF PAINTINGS, ACCESSORIES AND TECHNOLOGIES FOR THE CONSTRUCTION OF NOA 2015 (SILVAtec) was organized by SilvaFast, a notable reference in the segment of painters in the province of Tucumán. In the Calchaquí room of the Sheraton Hotel, on Friday, 25th, Gabriel Argüello of the Technical Department of Emapi S.A. Offered a technical-commercial dissertation, presenting the line of paints and waterproofing of its extensive portfolio of products, to then develop the characteristics and waterproofing system for green roofs, a trend linked to sustainable architecture. R & D Department carried out continuously, innovations and improvements in the performance of each of its developments. In this context, Duratone latex was reformulated, dramatically improving product quality. They are optimized technical characteristics such as power coverage and level of whiteness, resulting in easy application and excellent workmanship, suitable for use in concrete structures, masonry, mortar, brick, cement, paint etc. ; Price and quality by combining it into a single product. 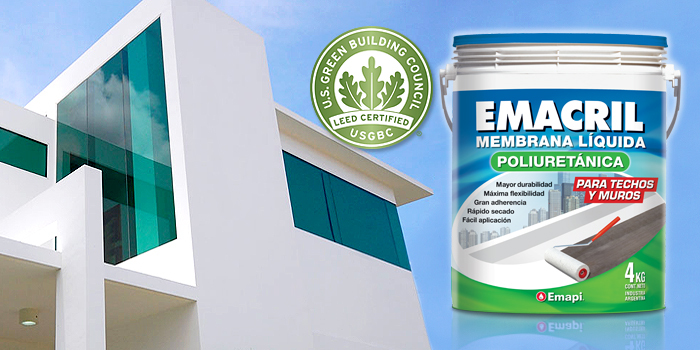 Thus, Emapi's thinking continues to provide quality products and solutions to the home and work paint market. 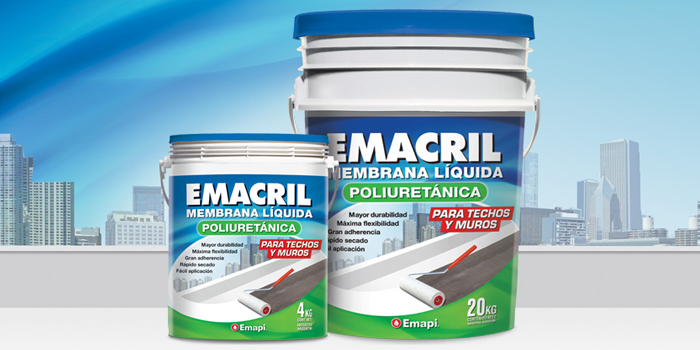 To achieve an excellent waterproofing it is not enough just to place a quality membrane on the surface to be treated; It is indispensable to use complementary products.According to IRAM 12627, to achieve an effective waterproofing it is imperative to prime the surface with a MACA P (solvent base) or NOVASFALT ANR-5 (water-based) asphalt paint, before applying any asphalt membrane. The use of MACA AL (aluminized asphalt paint) is also essential to protect the exposed asphalt resulting from the bonding of the membrane. 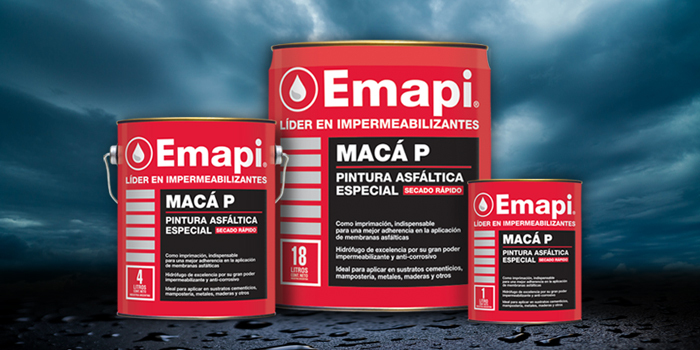 MACA P: Special asphalt fast drying paint. It is used previously to the placement of membranes; Of hydrophobic nature, is also used on iron structures, silos, poles, etc. NOVASFALT ANR-5: Asphalt waterproofing agent for cold application. It is used previously to the placement of membranes, waterproofing of ceilings and as vapor barrier. 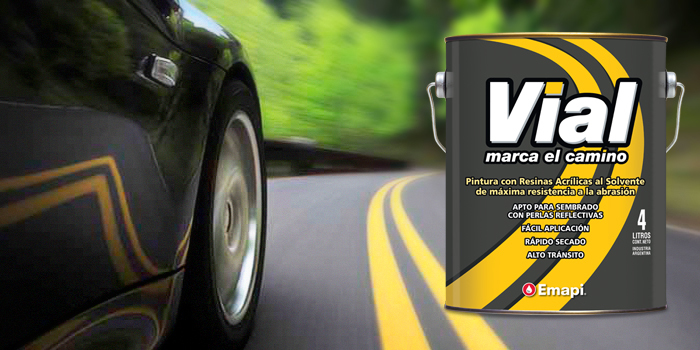 MACA AL: Aluminized asphalt paint. 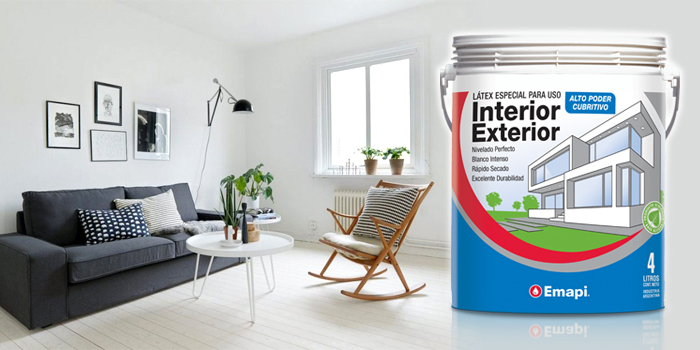 Provides a water repellent film, formulated to protect asphaltic ceilings and overlaps between membranes with aluminum. OXIFLEX: Hot application oxidized asphalt. Formulated for use in hot waterproofing systems, adhesion of membranes and taken from joints of rigid and articulated pavements. FITAFLEX: Multipurpose self-adhesive membrane. Waterproofs small surfaces. Provides reinforcement, protection and termination. Membrane repair and maintenance is possible. A little more than a year after the launch of our latex for indoor and outdoor use Look Tendencias, we want to thank our clients for their support and to announce with great satisfaction the success and the numerous favorable opinions of those who have already applied it. The sales and comments have met our expectations. 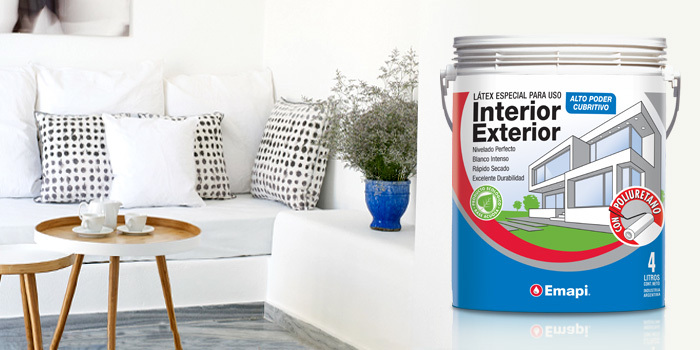 Look Tendencias is a dual-use latex that comes in 1L, 4L , 10L. The six colors that integrate this new palette are Rosa Illusion, Red Ceibo, Apple, Cranberry, Orange and Sunflower. Product designed with the highest quality standards, is mainly aimed at who wants to give a prominence color, whether interior or exterior use. Among its qualities we can highlight a highly cover film and stable colors against the attack of solar radiation and other adverse weather factors. In the framework of the lecture series "Landscaping and Environment: Sustainable Project and Construction" that Colegio de Arquitectos Buenos Aires Distrito 1 organizes every month in the city of La Plata. A training was carried out by architect Gabriel Argüello entitled "Professional systems of waterproofing mono and multilayer for green roofs". In auditorium composed by construction professionals and students of the architectural career, in the first part, exposed about the characteristics and benefits of the system of green roofs, a modality that although already has decades of use in Europe and the United States, begins to have wide acceptance in our country. The second part was focused on the professional waterproofing systems developed by Emapi, systems widely tested through the thousands of square meters of works waterproofed with products of its manufacture. As part of the cycle of annual training by the provinces of the interior of the country, and being invited by the client Alovero Garcia, on September 18, a talk was held in the town of Merlo (San Luis), by Emapi S.A. The same counted on a great assistance, among them Mr. César Figueroa (Director of Private Works of the Municipality of the Villa of Merlo), Carlos Loeschbor (Manager of the Water and Public Services Cooperative Merlo), Julio César Ochoa representing the College of Engineers and Engineering Technicians of the Province of San Luis, as well as staff of the firm Alovero García, architects, builders and painters of the Villa de Merlo and surroundings. 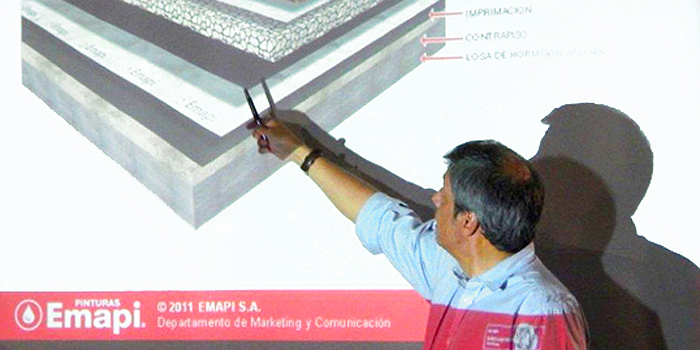 Together with Messrs. Luis Correa and Osvaldo Saccomandi (commercial representatives of Emapi SA in the province of Córdoba), Gabriel Argüello of the Department of Architecture and Trade Marketing exposed, over almost two hours, the characteristics and uses of The products of the Paint Division and the Waterproofing Division, as well as an introduction to the Green Roofs modality. During its development, and showing a keen interest, the attendees participated through consultations and related their experiences in the use of the products of Emapi S.A. An extremely productive and enriching journey, with the impeccable organization of our hosts, who provided the appropriate framework for the training. 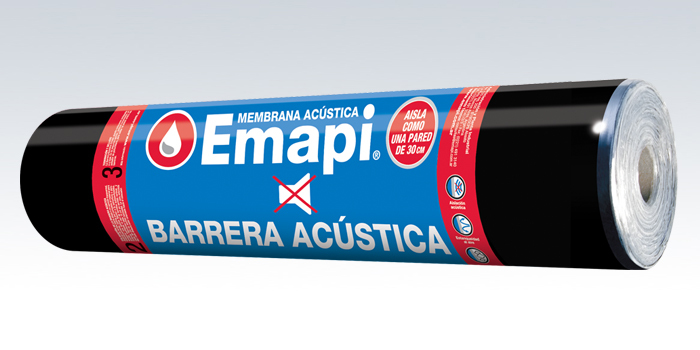 Emapi, a leading argentine company in its sector, works permanently in the improvement of each one of its products, according to the demands of a market in constant expansion. In this case, the recognized virtues of its traditional Cromatica synthetic enamel it adds anti-corrosive qualities, transforming it into a double action product. This change will be accompanied by a redesign of the image, which highlights, among other qualities, the antioxide condition, which characterizes products of this type. 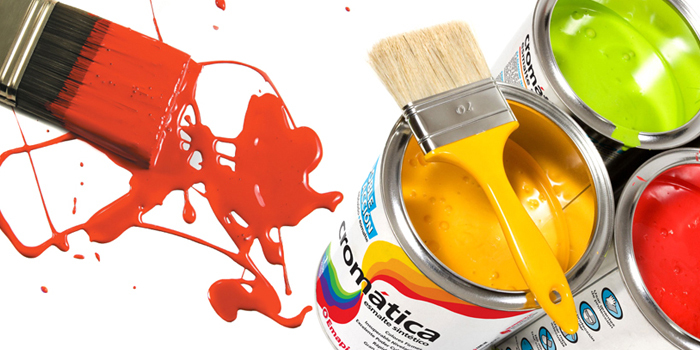 Cromatica double action allows to be applied on iron surfaces, be it indoors or exposed to the elements. Protection, striking color stability and ease of application, make Cromatica the ideal synthetic enamel, chosen by professionals for all types of work, backed by a company with more than six decades of experience in the market. 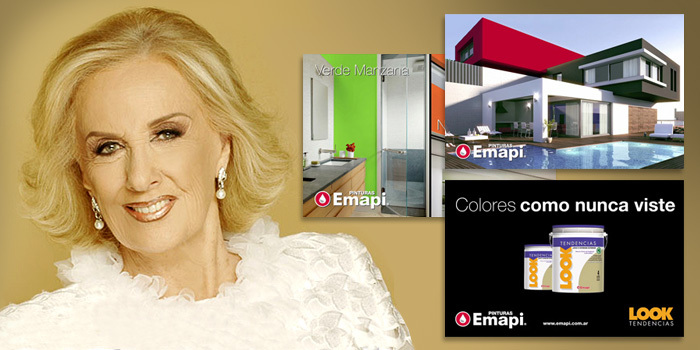 Emapi, a leading Argentine company in the market, presents a new product from its Paint Division. In this case, it is a line extension of your latex paint Look. Look Tendenicas is a dual use acrylic product (for interior and exterior). Pink Illusion, Ceibo Red, Apple Green, Cranberry, Orange and Sunflower are the six colors that make up this release. 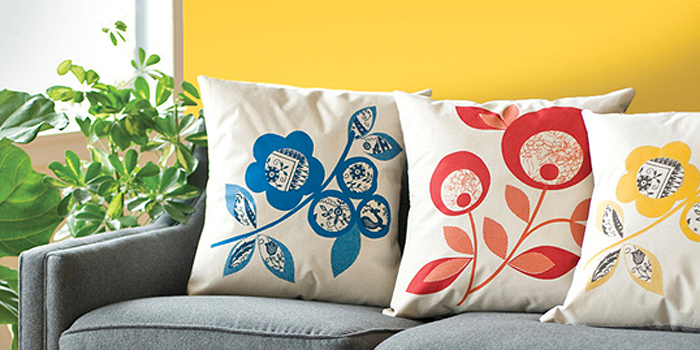 Full colors, full of life, designed to beautify and protect. With its outdoor application, a highly covering film of stable colors is obtained against the attack of solar radiation and other adverse climatic factors. Indoors, it offers the opportunity to experience new combinations, creating climates that give the spaces personality and atmosphere. 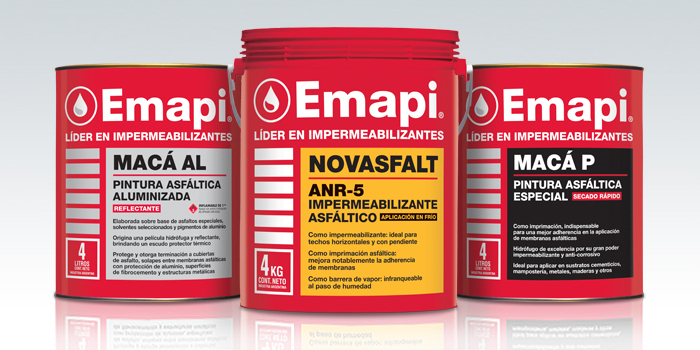 Emapi is constantly evolving, aiming to satisfy the growing demand of the construction market, whether in the formulation of its products or in its presentations. 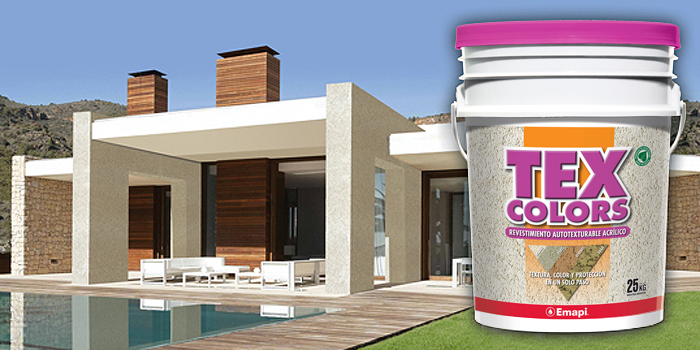 We introduce a new redesign of our product, Texcolors is an acrylic coating, for use in facades and walls for exterior and interior use, stone finish, water repellent and flexible, whose design incorporates styrene-acrylic resins of the latest generation , pigments of high stability and minerals that provide a colorful finish, insurmountable to the attack of fungi and algae. To the already recognized and proven benefits of Texcolors in its four textures and eight colors, now adds a new packaging whose two most outstanding characteristics are the white color of its body and the violet of its lid. 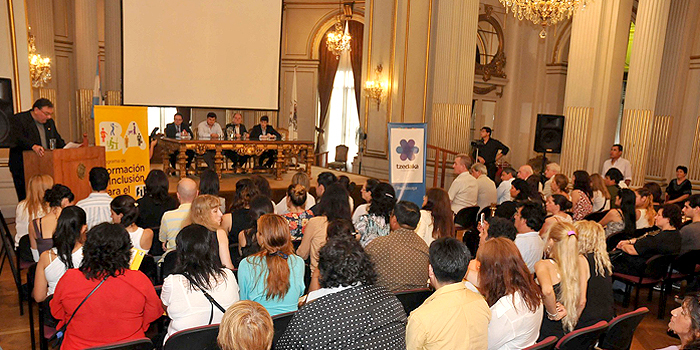 On Thursday, December 6, in a ceremony held in the Dorado Hall of the Legislature of the Autonomous City of Buenos Aires, Emapi was present in the final certificates delivered to the students participating in the Training and Inclusion to Work Program ( FIT), a program implemented by the General Directorate of Social Economy, under the Ministry of Social Development of the Government of the City of Buenos Aires. The event was attended by the head of the Ministry of Social Development, Mrs. Carolina Stanley, as well as the Deputy Secretary for Family and Community Strengthening of the Ministry of Social Development, Mr. Santiago López Medrano, and the Director General of Social Economy, Mr. Ignacio Girado. 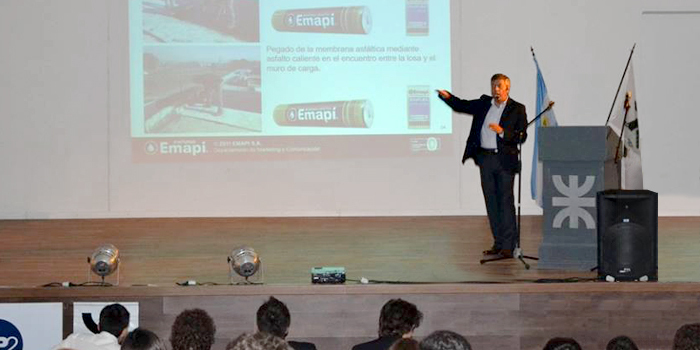 One of the venues where FIT Program classes were held throughout 2012 was the Cámara de Empresarios Pintores y Restauraciones Afines (CEPRARA) and it was there, at the invitation of the said chamber, Emapi offered a training session on Waterproofing Systems. In this way, our company not only fulfills a commercial role by disseminating its products and forms of application, but also fulfills a social function, opening the doors of knowledge and providing tools to those who do not have access to a formal education, enabling this Their reintegration into the productive sector of society.